At some point soon I'll have to sort out all the towns and local histories in Copper Country in my road blogs. Weird to see just walls of empty cities and towns still on a signed highway with relatively high speeds. 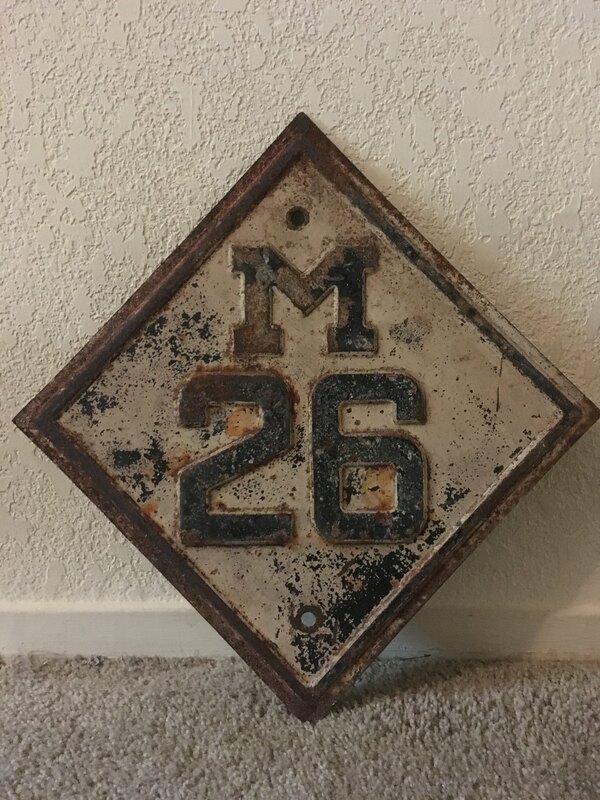 To think WIS-26/M-26 was once one number from Beloit, WI to Laurium (later Gay), MI from 1923 to 1934. I always thought it was kind of interesting that some of these Mid-West states have highway systems that pre-date the US Routes. Most of the primary Trunklines in Michigan were done back in 1917, it just seems odd to think it retrospect how far ahead of the times having signed routes really was for the era. Cars would have barely been something that was breaking into the mainstream and certainly surfaced roadways outside cities wasn't especially common. I was just up that way two weeks ago clinching Keweenaw County along with a couple other counties in northern Wisconsin and the UP I had missed previously. Weren’t you the one who had the pic with snow at the west terminus of M-28? I bet M-26 and US 41 were nice this time of year with the fall weather.